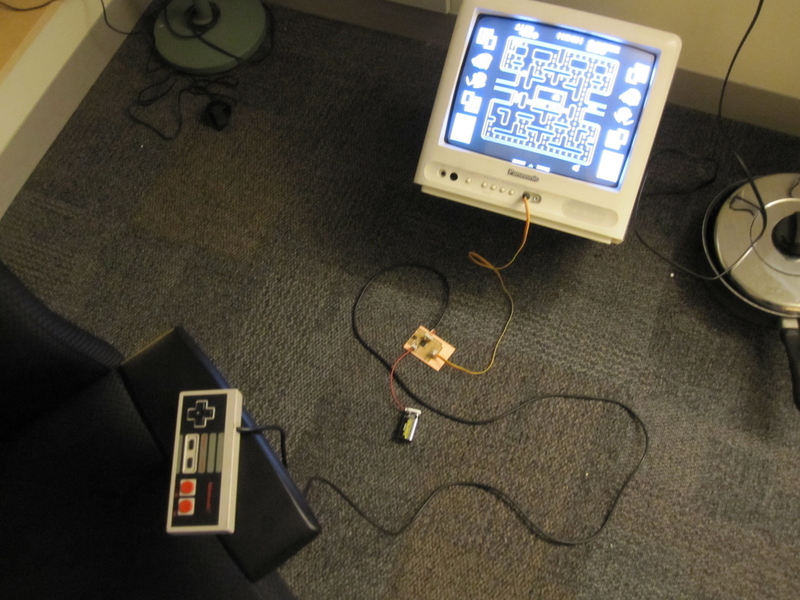 One of the more fun projects to come out of my How To Make (almost) Anything class experience is an instantiation of the Uzebox open-source video game console that piggy-backs onto the chip inside of a classic Nintendo controller to create a portable TV gaming system. During the course of designing this device, I also laid out a PCB for a black-and-white version of the console which only uses 20 components and can be easily fabricated at home or in a Fab Lab. More information and a buildlog for this project can be found here. Design files for both console versions can be downloaded from my Github.